Kristiane tells rather interesting stories about people slightly out of the ordinary. Born in 1963 to a family of lawyers and doctors, Kristiane became the exception of the family tradition by pursuing a career as an artist. In her junior years, her family lived in Freiburg, Cologne, Edinburgh and near Chicago, U.S.A. Trained as an art historian, she then obtained an M.A. Degree in theatre and costume design at the established Mozarteum in Salzburg. A further degree in graphic design enabled the young student to deepen her vivid interest in illustrative drawing. Her time under Professor David Barker in the printmaking department at the University of Ulster in Belfast turned out to be the most fertile and fun part of her training, culminating in a large format artist’s book on the ancient Gilgamesh epic, which comprises text and a series of 26 etchings. From then on she steadily developed her zest for narrating intricately spun stories and for revealing the psychology of characters by means of graphic depiction. Prior to taking up the position as artist in residence in Bangor, Northern Ireland, Kristiane undertook studies in Xian, China, encountering the traditional watercolour based woodblock printing. An extended journey through India instigated new ways of perception and thought to the young artist. Her fascination for paper was further nourished by a visit to a paper mill in Jaipur, Rajasthan, producing traditional hand-made paper. This three-month journey also bore the fruit of a unique artist’s logbook. 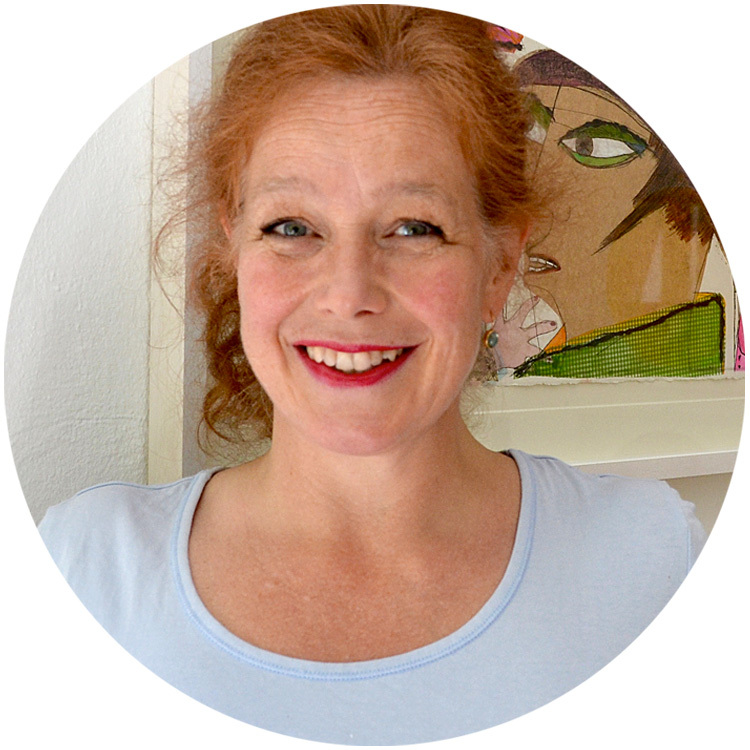 Upon return to Germany, Kristiane evolved as a creative producer for children’s general knowledge books, films and audio plays, revealing a different creative facet of the artist. She also is a founding member of the Munich based Dreipunkt Edition, a collective of artists dedicated to the renaissance of printmaking. Since 1998, the group has exhibited extensively throughout Europe, including participating at shows at the Saatchi Gallery and the Royal Academy of Arts in London. Kristiane’s unique style of printmaking creates a world full of intriguing characters, whose multiple expressions give off a wonderful energy, wit and charm. She is currently concentrating on one-off monotype pieces, often combined with collage and watercolour.